St. Mark’s music program is one of the best in the area. 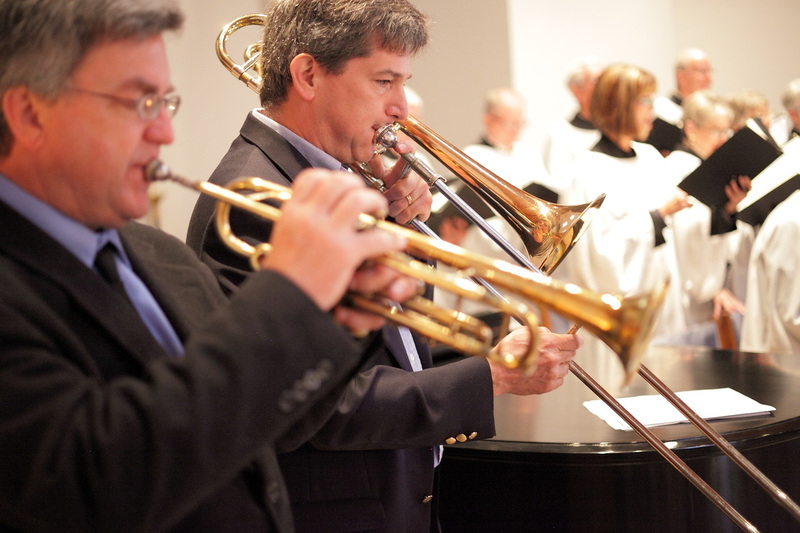 We have two professional musicians on staff, and they continue to bring instrumental and choral music of the highest quality to regular church and other services (such as weddings and funerals). Bev Staples is the Director of Music and the Organist, and Nichole Dechaine is the Director of Choral Music. We bring in special musicians for special programs – particularly during the Christmas and Easter seasons, and have enjoyed the talents of many local instrumentalists and vocal artists. St. Mark’s Choir rehearses Thursday evenings from 7 pm to 8:30 pm, and sings at the 10 am Sunday service during the program year. The choir sings a wide range of sacred music, from Baroque and Classical sources, as well as contemporary and gospel music. Many of the choir members are excellent musicians in their own right, and choir members regularly provide choral and instrumental solos. The choir continues to grow under Bev Staples’ and Nichole Dechaine’s leadership, and currently has 30 or so members. Bev and Nichole, in addition to rehearsing choir selections for Sunday services, teach vocal technique and other musicianship skills. The choir is on hiatus from June through August, but choir members and other musicians support congregational singing and regularly provide choral, solo or instrumental music most Sundays during the summer. Anyone is welcome to sing in the choir – either for a brief self-identified period (such as during the Christmas or Easter season) – or on a regular basis. St. Mark’s choir has joined with other choirs to provide music for interfaith services and special musical programs. Bev Staples and Nichole Dechaine provide regular weekly opportunities for children and youth to learn music theory, along with choral and instrumental music, and to sing during some Sunday services at 10 am. 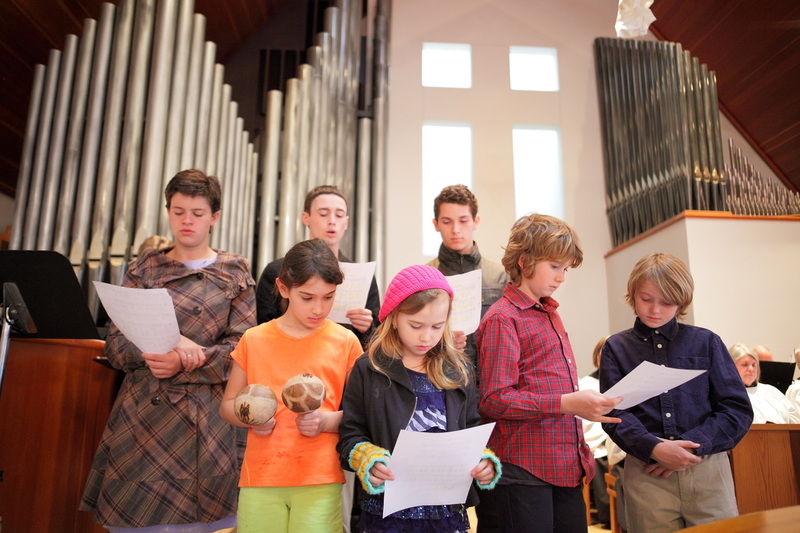 Children are invited to play bells in a bell choir, and they also use rhythm instruments to accompany themselves, the choir and congregational music. St. Mark’s is privileged to own and maintain two marvelous instruments: a 22-rank Schoenstein pipe organ, built and voiced for the space and an historic Steinway B concert grand piano. Beverly Staples is an extraordinary musician on both instruments, and she brings her harpsichord to the church on special occasions. Bev’s preludes and postludes at the 10 am Sunday services are particularly appreciated by the congregation, and most parishioners come early and stay a few minutes after the service to hear the magnificence of her musical selections on the pipe organ. Anyone is welcome to be part of St. Mark's Handbell Choir; no need to be able to sing or play another instrument. The handbell choir is part of our worship, offering special anthems or joining in on choir anthems and hymns on occasion and especially at holiday times. St. Mark's handbells are a gift from Covenant Presbyterian Church in Long Beach, California, a congregation once pastored by The Rev. David Burcham, father of Cathy Pepe. Cathy's parents gave the bells to Covenant in memory of their parents. At St. Mark's, the bells continue to be a memorial to Cathy's grandparents and also continue to make a joyful noise in thanks and praise to God. Sunday and other church services at St. Mark’s often include special presentations by local and other musicians. Beverly Staples and Nichole Dechaine have many friends in the music world, and a number of these musicians have enhanced the Sunday and special music programs at St. Mark’s.